what say you? Which “pill” would you pick, blue or red? Are you also living in “what if” universe? How is your world and life in it? Do you wish to step into a new “matrix” too? What is stopping you from doing so? Thanks for deciding to change the world. 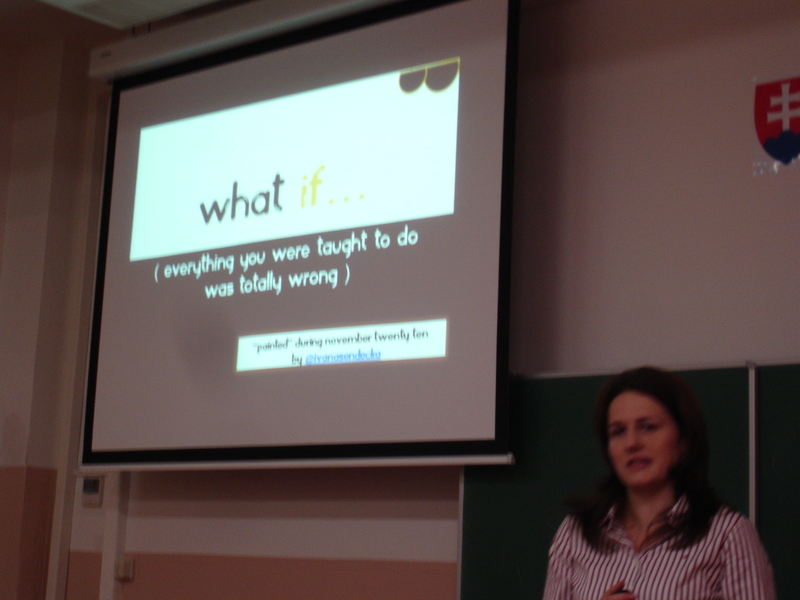 Nothing can inspire a person more than these ‘What if’ slides and obviously YOU! be inspired and ship your art! the presentation was good – something new, interesting. BUT! I am still missing the point of it. Why should I ask “What if”question? …just because of being happy, enjoying everything (good as well as bad) in life? those are questions for yourself not me. why you do what you do? what choices do you make? how you want to lead your life? all of that is your job to figure out. After reading your slides , I get a lot from them .. e-g Writing and the presentational style of your slides, To attract your audience using Visual aids and MOST IMPORTANTLY your presentation topic WHAT-IF …. 1) There is a lot of thinking and meaning behind the visual aids .. My Question is, WHY you used Reddish Pill for “Adventure of Creativity” and bluish pill for “Safety of Boredom” (Slide 53/81) ??? Thanks for such deep analysis of the slide-deck! Well, I will go over the slide-deck once again, but I have to tell, that you just once again stood up to your standards! Amazing presentation – the structure, the ideas and the painting itself! Awesome! And thanks for spreading the word! I am sure, it has made many to think. Thank you and I too believe, few people from audience, will act think and act differently after this talk. Beautiful stuff. I like the “bodyguard your dreams.” So true. thank you J.D., I am happy you like it. I have put in loads of hours into painting this slide-deck. 😉 I am glad you have enjoyed it, Tom!